Registration is now open for the 2019 Fair Housing Summit, which features Kevin Boyle, the author of Arc of Justice: A Saga of Race, Civil Rights, and Murder in the Jazz Age. 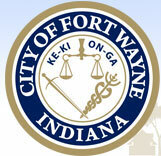 The Summit is hosted by the City of Fort Wayne’s Metropolitan Human Relations Commission and Office of Housing & Neighborhood Services and is set for April 18, 2019 from 8:30 a.m. to 1:30 p.m. at The Summit, 1025 W. Rudisill Blvd. Breakfast and lunch is provided and there is no charge for the event. The City of Fort Wayne is now seeking a new developer for the prime riverfront property located at the northeast corner of Harrison and Superior streets. The Fort Wayne Redevelopment Commission approved an economic development agreement to build a mixed-use project with Continental Property Group (CPG), but it appears CPG cannot meet the conditions of that agreement. Vincent Village hosted an open house today at a new home built with funding from the City of Fort Wayne’s Office of Housing & Neighborhood Services. The new home, located in the 2700 block of Lillie Street, is on the Vincent Village campus in the Oxford Neighborhood. A family currently living in one room at Just Neighbors Interfaith Homeless Network will soon move in, making space for another family at the local homeless shelter. January 15, 2019 -- The Charles F. & Mollie Centlivre House, 2417 and 2419 Spy Run Avenue, is now a designated Local Historic District. The home was originally built for Charles F. Centlivre and his wife Mollie, who were the family that operated the Centlivre Brewery. It was built in 1886 and is an outstanding example of the Queen Anne architectural style in Fort Wayne. The architects were the prominent Fort Wayne firm of Wing & Mahurin.